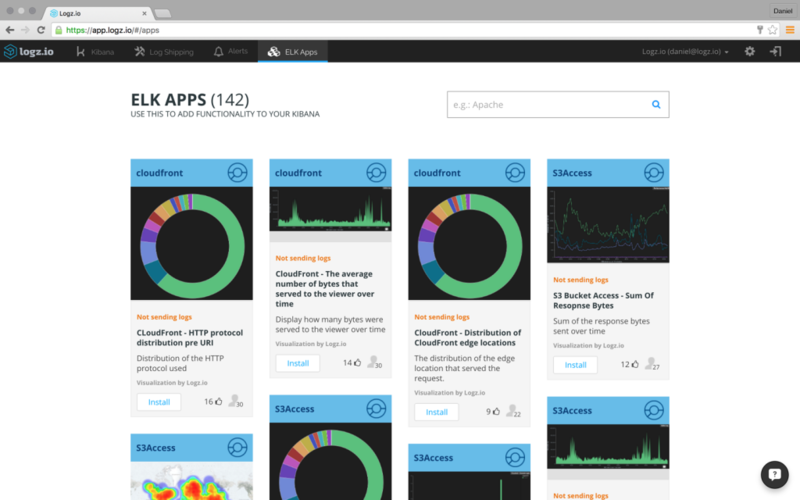 A few months ago, we announced the general availability of ELK Apps — an online (and free!) 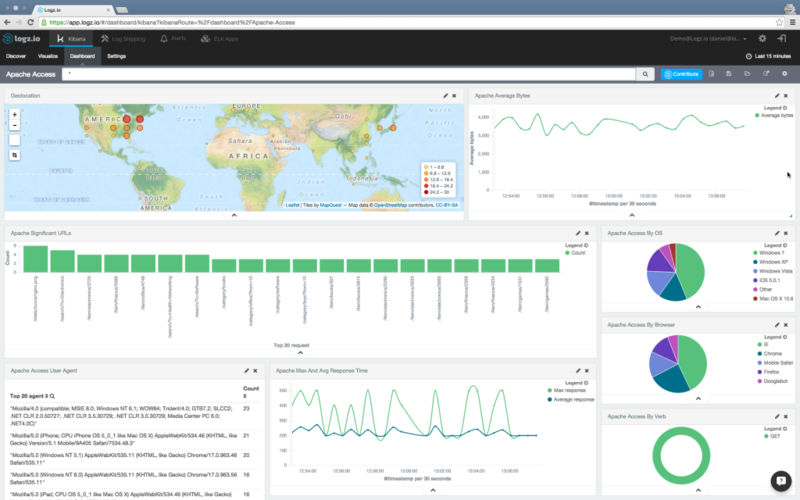 library of pre-made Kibana searches, visualizations, alerts, and dashboards that are customized for specific environments and log types. 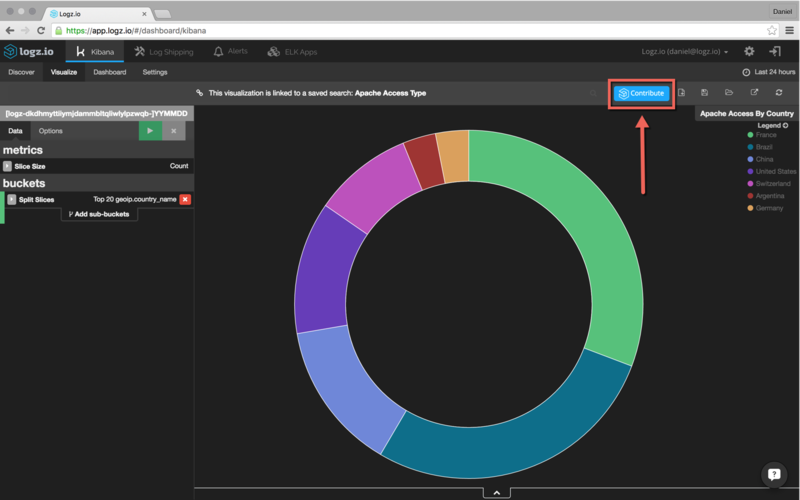 This feature allows users to gain instant access to the visualization capabilities of Kibana instead of wasting time by constructing all of the graphs and charts themselves (which is not always an easy task). ELK Apps has quickly become one of the most popular features in the Logz.io platform, and we are excited that so many people in the community are using the resource. Using ELK Apps is extremely simple: Just browse through the library and install your app of choice with one simple click. Once installed, you can make the app your own by tweaking it to suit your own specific environment and requirements. 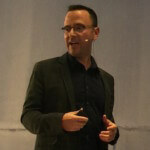 Users can also contribute apps to the library. 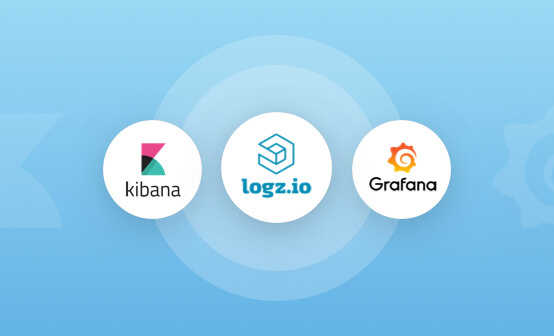 Whether they are saved searches, visualizations, dashboards, or even alerts — you can share your Kibana app with other users by publishing it on Logz.io. To do this, all you have to do is click the blue Contribute button in the top-right corner of the Kibana user interface in Logz.io. (Note: searches, visualizations, dashboards, and alerts need to be saved first before being shared.) 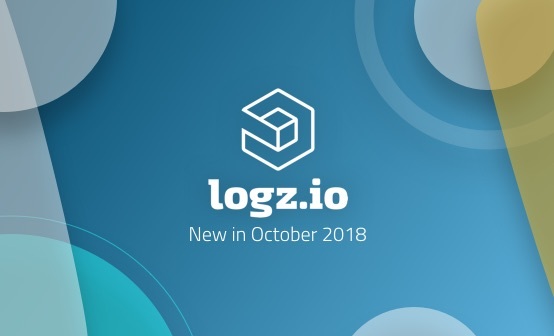 If you do not already have a Logz.io account, you can create a free one here. Product – Select the type of logs for which the app is used (e.g., Apache or Docker) in the drop-down menu. The selection will be automatically created based on the saved information. Name – Enter the app’s name. The name of the saved search, visualization, dashboard, or alert will be automatically displayed, but you can tweak it as you see fit. Description – Describe your app to users. For example, state what data is being shown. Image – On the left, select an image for the app. You can choose from a selection of available images. If you like, you can publish the app anonymously (but where would be the fun in that?) by selecting the Anonymously box at the bottom of the dialog. Once you have finished, click the Publish button and your app will be submitted to our review team. After your app is approved, it will be added to the ELK Apps library. Since we went live with ELK Apps, we have received dozens of contributions from users. The library currently consists of 142 apps for: Apache, NGINX, AWS (ELB, CloudFront, CloudTrail, VPCFlow, S3), Docker, MySQL, Nagios, IIS, HAProxy, and general system logs. We’d love to see your contribution as well! 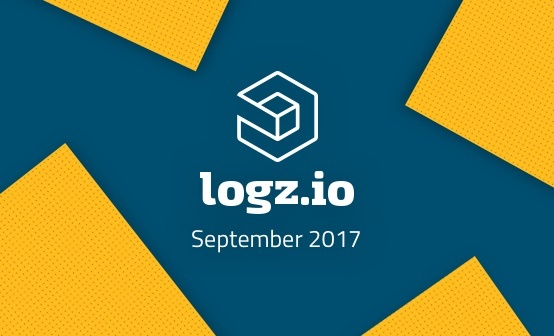 Oh, and did I forget to mention that each app submission gets a cool Logz.io T-shirt? 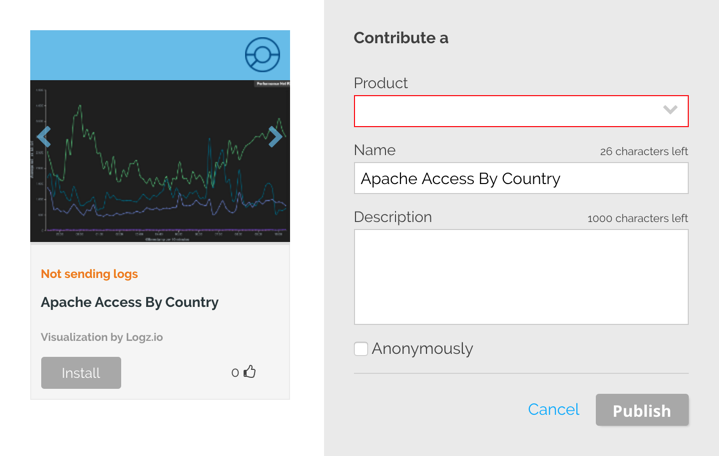 Easily Add Common Dashboards and Visualizations with Logz.io ELK Apps.